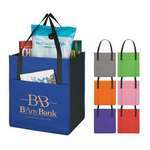 Carry small items in the eco-friendly Non-Woven Mini Tote Bag, printed with your company’s logo and promote your company as one that cares for the environment. 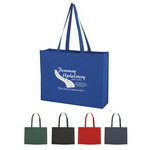 Add your business logo to the tote, and get widespread recognition for your brand. 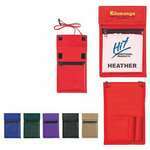 The Non-Woven Multi-Tasking Organizer performs various functions depending on the need of the hour. It can function as a trunk organizer, a shopping tote, or as a small storage unit. Keep your access pass, security pass, and key cards safe with the Non-Woven Neck Wallet Badge Holder. Made of 80 gram non-woven, water-resistant polypropylene, the reliable badge holder has a large imprint area. 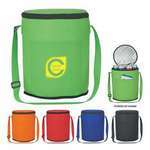 The Non-Woven Round Kooler Bag is a handy way to keep beverages cool. 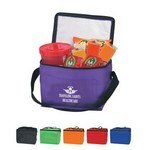 It is made of 80 gram non-woven, coated water-resistant polypropylene material and holds up to 12 cans. 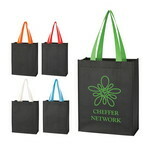 The Non-Woven Shopper Tote is a simple, effective, and useful way to carry around brand visibility. 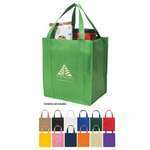 The tote is made from 80 gram non-woven, coated, water-resistant polypropylene. 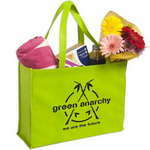 The Non-Woven Shopper Tote Bag is a simple, eco-friendly bag. It is made from 80 gram non-woven, coated, water-resistant polypropylene. The Non-Woven Shopper's Pocket Tote Bag is a reusable and recyclable pocket bag that can pack a mighty punch of brand awareness. Imprint your company’s logo on this eco-friendly tote using screen printing and see your brand gain recognition as one that is committed to the environment. 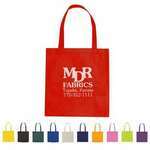 Our customizable reusable tote bags feature reinforced 22'' handles and a single logo imprint. 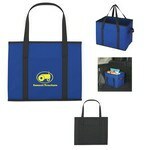 Create a cool impression of your brand, by gifting the Non- Woven Six Pack Kooler Bag, to customers and employees. 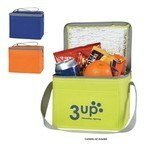 Add your company’s logo to the cooler bag to enhance your brand’s image. Carry the Non-Woven Small Padfolio with ease, in rain or shine. 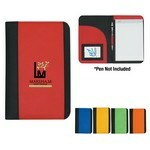 Made of water-resistant polypropylene, it includes a 30 page lined 5" x 7" writing pad.